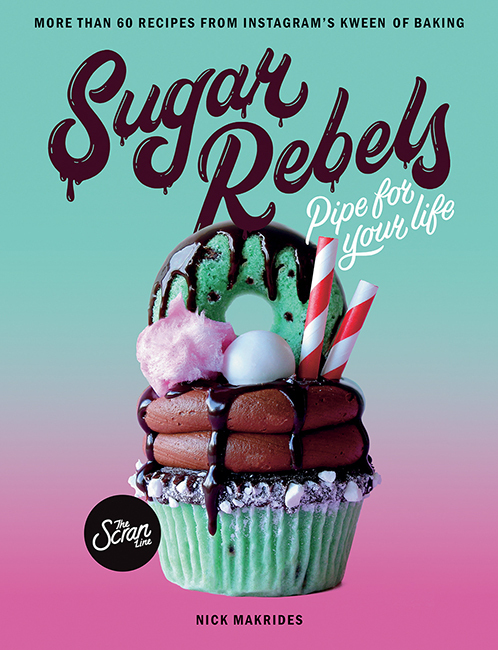 Baker, designer, and YouTuber Nick Makrides is building a generation of sugar rebels – and he wants you to be one too! The creative force behind the popular Instagram and YouTube channel The Scran Line, Nick is dedicated to sharing the positive power that comes from baking crazy, fun, and colourful things. Now, he’s put it all into one book called Sugar Rebels, an amazing collection of his zaniest recipes that his fans have been begging for since day one. “It was great to get my thoughts out onto paper!” Nick says of the writing process. It’s wild and it’s fun, but for Nick Makrides it’s also deeply personal. His online space is a hub for everything and everyone creative, and Sugar Rebels is a natural extension of the rapport he has built with his fanbase as both a baker and a role model for the LGBTQI+ community. “With this book I had the opportunity to share even more of myself,” Nick says. 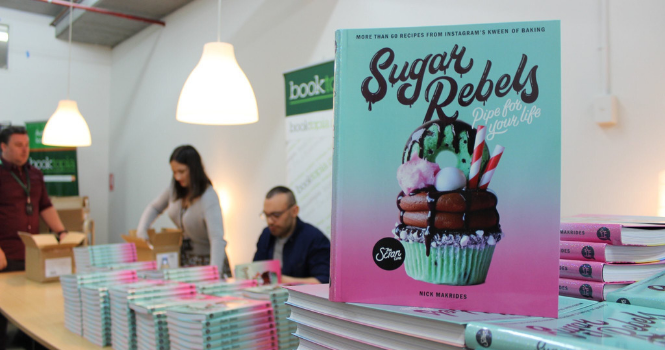 Sugar Rebels is also dedicated to the three women who made it all possible for Nick: his mum and his grandmother, as well as his mentor from his first baking job, Maggie. All three women taught him pretty much everything he knows. 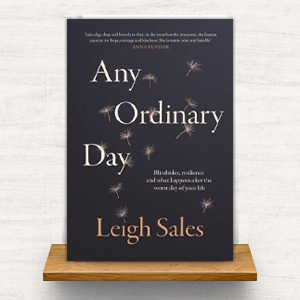 This is a gorgeous book that everyone with a sweet tooth needs in their life, and it’s available for pre-order now. Earlier this week we were lucky enough to have Nick come in to chat with Sarah McDuling and Joel Naoum about all things cupcake-related – scroll down to listen!